In the United States, Tennessee is a very lovely and a very beautiful place to visit. 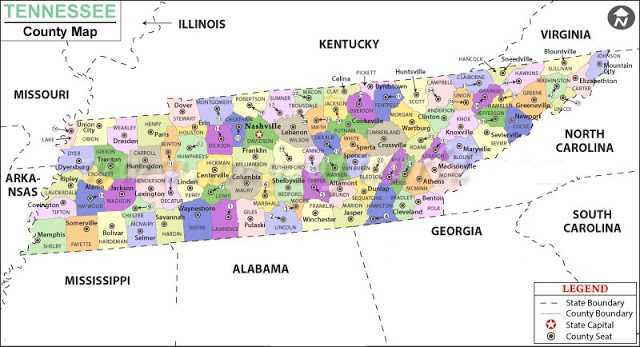 You need to get hold of a good map of the state Tennessee if you are planning a trip to this wonderful state. In the south eastern region of the United States, this state is being located. Out of the 50 United States, this state is being considered as the 36th largest state. It is also being considered as the 16th most populous state out of the 50 United States. Coming to the capital of the state, Nashville, it has a population of about 660,388 and this city is also considered as the largest city. 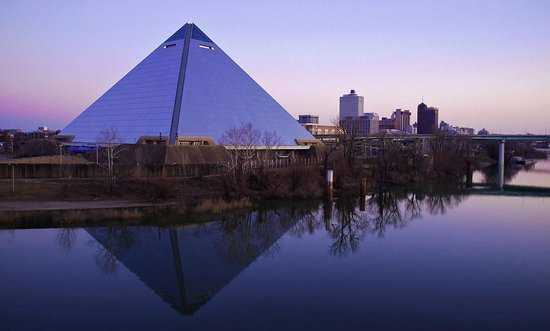 Coming to the second largest city of this state, Memphis, it has a population of about 652,517. In the Watauga Association, the state of Tennessee is being rooted into. Agriculture, Manufacture and Tourism are the major industries of this state Tennessee. Coming to the primary agricultural products of this state we have poultry, soya beans and cattle. Chemicals, transportation equipment and electrical equipment are the major manufacturing exports. At the eastern part of the state, the great smoky mountain national park which is being considered as the most visited park of the nation is being situated. The Tennessee north carolina border is being followed by a section of the Appalachian Trail. At the north, this state is being bordered by Kentucky and Virginia. At the east this state is being bordered by North Carolina. At the south this state is being bordered by Georgia, Alabama and Mississippi. Coming to the west, this state is being bordered by Arkansas and Missouri. The eastern part of the state is being bordered by the Appalachian Mountains. The western border of the state is being bordered by the Mississippi River. There are a lot of tourist spots over there in the state. Some of them are: Tennessee aquarium which is being located in Chattanooga, Dollywood which is being located in Pigeon Forge, Ripley’s aquarium of the Smokies and Ober Gatlinburg which is being located in Gatlinburg. In Nashville, the country music hall of fame and museum is being located which is a very beautiful place to visit. The Ryman Auditorium is also being located in Nashville which is a must visit place in the state. In Lynchburg, the Jack Daniel’s Distillery is being located which is worth visiting. Another tourist spot is: Elvis Presley’s Graceland residence and tomb which is worth visiting. The Memphis Zoo and the National civil rights museum are being located in Memphis which are worth visiting. In Bristol, the Bristol motor Speedway is being located which is a great tourist destination and is worthy of visit. 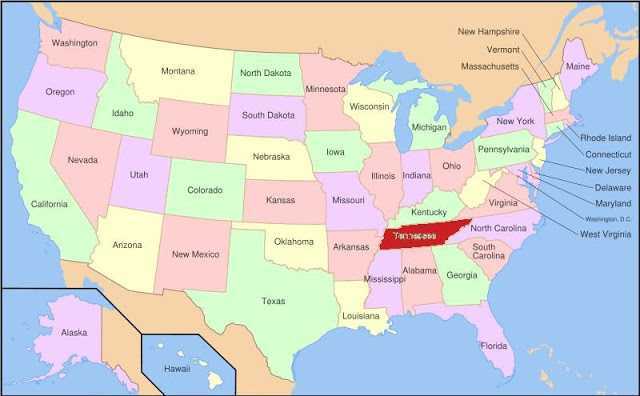 “The Volunteer State” is the name which is being referred to the state Tennessee. During the war of 1812, the name has been claimed due to the war which was fought by brave and volunteer soldiers from the state Tennessee. In to three grand divisions, the state Tennessee is being divided which are: East Tennessee, Middle Tennessee and west Tennessee. The blue ridge, the Appalachian ridge, The valley region, The Cumberland Plateau, the Highland Rim, The Nashville basin and the Gulf Coastal Plain. There are a lot of caves in this state Tennessee. A number of about more than 10,000 documented caves are present in this state Tennessee of the United States. On the eastern edge of the state Tennessee, the blue ridge is being located bordering North Carolina. The high mountains and the rugged terrain of the western blue ridge mountains characterizes the region of Tennessee. 5000 feet above the sea level is the highest elevation this blue ridge area. The state’s highest dome which is known as the Clingmans Dome is being located over there. There are a lot of airports located in the east Tennessee. Some of them are: Tri-cities regional airport, Knoxville’s Mc Ghee Tyson Airport and the Chattanooga’s Metropolitan Airport. In a journey, the map is most important factor. In the map, each and every thing is to be done in details in order to get the best possible results. The state Tennessee has a climate type of humid subtropical climate. Nearly 12,000 years ago, the state Tennessee was being occupied by Paleo-Indians. Coming to the population of this state, it is about 6,651,194. According to the estimation of the year 2010, the population of Tennessee having children under the age of five was about 6.4%. Under the age of 18 a percentage of about 23.6 was found out of the total population of the state. There are a huge number of schools, colleges and universities over there. Some of them are: American Baptist college, Aquinas college, The art institute of Tennessee-nashville, Austin peau state university, Baptist college of health sciences, Belmont university, bethel college, bryan college, casrson-newman university, middle Tennessee state university, milligan college, Motlow state community college, Nashville school of law, Nashville state community college, northeast state community college, Rhodes college. Also colleges like Southern college of optometry, southern Adventist university, crown college, Cumberland university, east Tennessee state university, fisk university, Johnson university, lane college, lee university, Maryville college, martin Methodist college, Memphis college of art, lipscomb university, welch college, Williamson college, union university, Tusculum college, university of Tennessee at martin, university of Tennessee of space institute, university of Tennessee at Chattanooga, freed-hardeman university and many more are there over that place. There are numerous cities and towns in the state of Tennessee. Nashville is the capital of this state and it is also considered as the largest city. The names of some cities of this state are: Nashville, Memphis, Knoxville, Chattanooga, Clarksville, Murfreesboro, Franklin, Jackson, Johnson City and Bartlett. 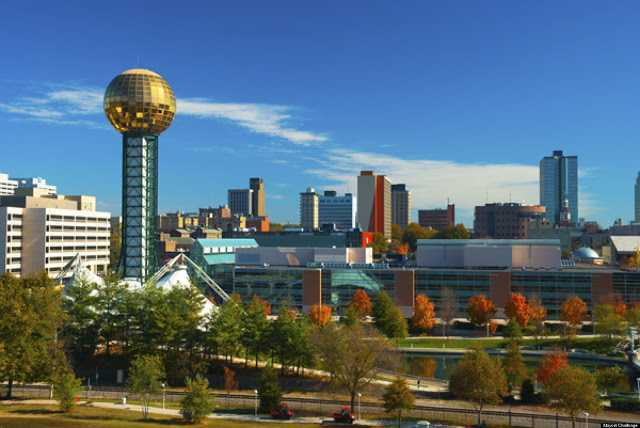 In the seat of the Davidson County and in the United States of Tennessee, this city is considered to be the largest city and also the capital of the state. In the north central part of the state Tennessee, on the Cumberland river, this city is being located. This city is also named as the Music City, USA. The area which this city comprises is about 1362 square kilometres. Coming to the neighbourhoods of this city we have: Antioch, Bellevue, Cane Ridge, Donelson, east Nashville, Germantown, green hills, the gulch, hermitage, Hillsboro village, Inglewood, Joelton, Lakewood, lockeland springs, Madison, Old hickory, Pasquo, Tusculum, Whites Creek and west Nashville. There are also several counties which are: cannon, cheatham, Davidson, Dickson, hickman, macon, Robertson, Rutherford, smith, sumner, trousdale, Williamson and willson. In this city, there are more than thirty-five colleges and universities. Coming to the population of this city, it is about 678,889 in numbers. There are also a various nicknames given to this city excluding the music city. Some of them are: Athens of the south, the protestant Vatican, cashville, little Kurdistan and nash begas or nashvegas. In the United States of the Tennessee state, this city is being located in the south wester corner. This city is also the county seat of the Shelby county. In the year 2016, this city had a population of about 652,717. 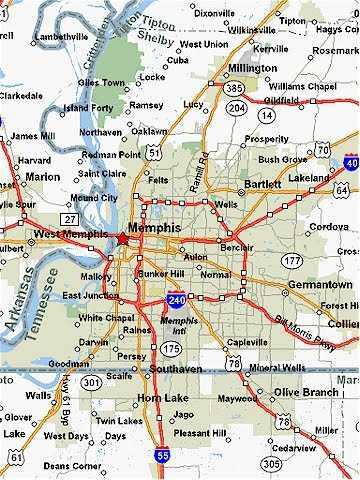 Out of all the cities of the state Tennessee, this city Memphis is considered as the youngest city. A numerous museums are being located here in this wonderful city. Some of them are: National civil rights museum, brooks museum of art, belz museum of Asian and Judaic art, Dixon gallery and gardens, children’s museum of Memphis, graceland, pink palace, Memphis walk of fame, mud island river park, Victorian village, cotton museum, stax museum and chucalissa indian village. There are also other points of interest over there. Some of them are: beale street, Memphis zoo, Peabody hotel, sun studio, the orpheum theatre, the new daisy theatre, mud island amphitheatre, the pyramid and many more. A huge number of schools, colleges and universities also exist in this city. In America, the Cristian brothers high school band is the oldest school which has been founded in the year 1872. In the Tennessee state of the United States, this city is a very lovely and a very beautiful city. An estimation of about 186,239 is the population of this city of the state Tennessee. Coming to the area of this city, it is about 269.8 square kilometres. The first Tennessee plaza and the 24-story river view tower located on the gay street are the two tallest buildings of the city Knoxville of the Tennessee state of the United States. There are also other high buildings like the tower at the morgan hills, the Andrew Johnson building, the Knoxville Hilton, the general building, the Holston, the TVA towers and the sterchi lofts. Coming to the neighbourhoods of this city we have: bearden, north hills, old city, parkridge, Lonsdale, west hills, south Knoxville, rocky hill, island home park, fountain city, emory place, Cumberland estates, fort sanders, Lindbergh forest, colonial village, chilwohee park, Mechanicsville and may more. There are also other sites of interest in that city like: bleak house, bijou theatre, fort Dickerson, james white’s fort, haley heritage square, world’s fair park, Tennessee theatre, zoo Knoxville, market square, marble springs, museum of east Tennessee history, Knoxville greenways, Knoxville convention center, Knoxville police museum, civic coliseum, William blount mansion, beck cultural exchange center, old city, ramsey house, sunsphere, Tennessee river boat, volunteer landing, ijams nature center, national register of historic places,knox county, Tennessee.